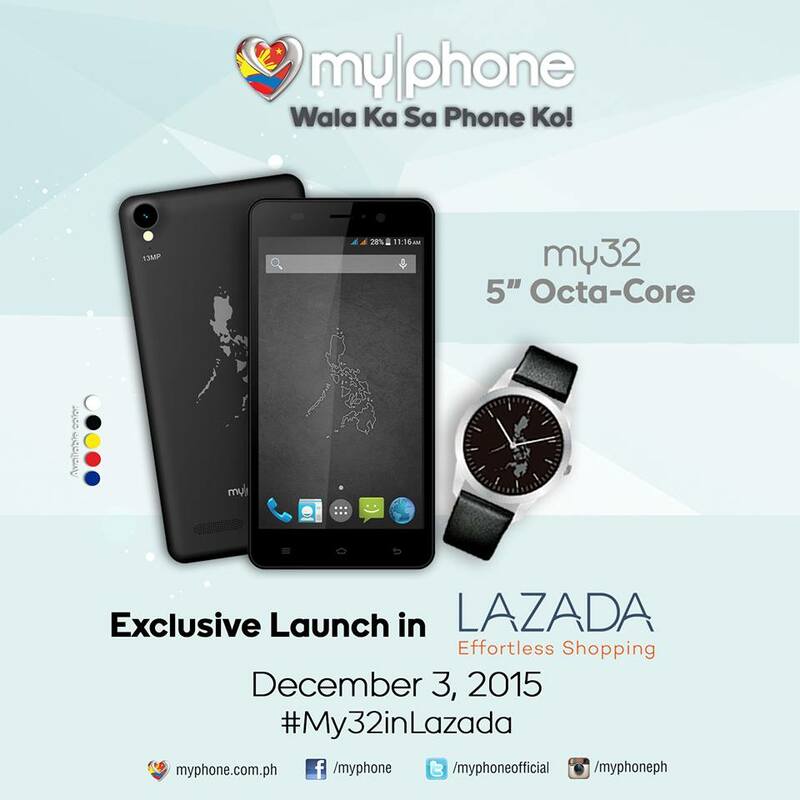 MyPhone My32 will be exclusively launched in Lazada tomorrow December 3, 12NN for only P4,999 as the Online Revolution Final Sale kicks off. MyPhone My32 is packed with a 2GB RAM, 16GB ROM, 13MP/5MP camera, Android v5.1 (Lollipop) and an octa-core processor. This phone comes with an exclusive 8-year commemorative watch for Free, and will be exclusively available in Lazada for a limited time only so take advantage of this deal while availability in the market is still limited. Available in Black, White, Orange and Yellow colors.